Give Gmail Access to Someone Without Sharing Password. Learn how. 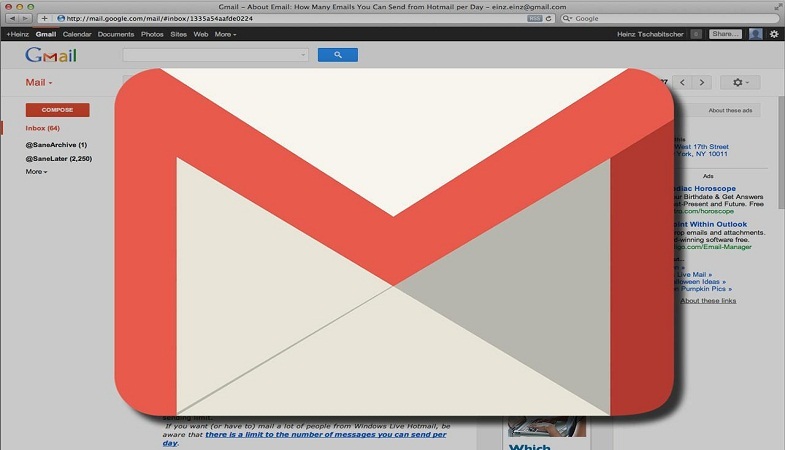 How to Give Gmail Access to Someone Without Revealing Your Password? When it comes to sharing your Gmail account’s password with someone, we tend to show extreme reluctance on this subject. Evidently, every person will be hesitant while revealing their Gmail password to another because it is a major test of trust. You have every right to show resistance while sharing your password with someone especially if you’re one of those people who uses the same password for all of your accounts, be it email or social, even though you know this is not a good practice to follow. You would never want someone to invade your privacy. For you, revealing your Gmail password to someone will surely remain an impossibility. So, what would you do if you had to grant your Gmail access to someone without having to share your password under difficult circumstances? It turns out, Gmail has already figured out a way for you. Gmail has a feature that allows you to grant access to your account to a delegate without sharing your password. Basically, what happens is, when you grant access to your delegate, they can read, send, and even delete messages in your Gmail account. Whenever they send an email using your Gmail account, their own email address appears in the message as well. They have the liberty of managing your Gmail accounts however, they cannot alter any of your Gmail settings, including changing your password and chatting with your contacts on your behalf. With this feature, you can add up to ten delegates with your regular Gmail account and up to twenty-five with your school or work account. It really works especially when you want to grant access to your email to assistants. Also, if you want to create a customer service account and want multiple people to have access to it, then you can seek help from this feature. Step 1: Open your Gmail and sign in with your account credentials. Step 2: Head to the Settings and then click ‘Accounts and Import’. Step 3: Scroll down a bit until you come across ‘Grant access to your account’. Here click ‘Add another account’. In the same section, you will also be required to choose whether you want the messages read by delegates to be marked as read or not. Step 4: On clicking ‘Add another account,’ a new window will pop on your screen, asking you to enter the email address of the person you want to give access to your account. Later, confirm that you want to share access with that person. Step 5: Once you confirm, the delegate will instantly receive an email on their email address containing a link that they are required to click within seven days of receiving the email. If they won’t open the link within seven days, the offer will expire. You will know when someone has accepted to become your delegate simply by going back to the Accounts and Import section. The email address of the person will appear in the same section once they have accepted your request. As per Google, the entire setting will take around thirty minutes to kick in. After that, your delegates will be able to view and send emails on your behalf. Step 2: Under ‘Grant access to your account,’ click the ‘Delete’ option which is present next to the email account you want to remove.